Next to the public park with the kids playing. But he totally wasn’t jerking off to the kids, honest! 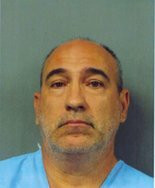 Reverend Grant Storms was booked on Friday after his arrest at Lafreniere Park. Witnesses told investigators they saw the man fondling himself in his van while watching children on the playground. JPSO authorities said Storms admitted to the offense. He denies the charge and says no children were around.